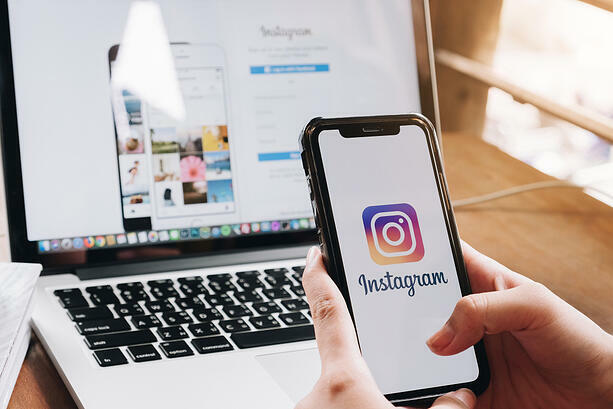 While it’s not talked about enough and not many people know it, hashtags can be followed on Instagram in much the same way as other accounts. Anyone can choose to follow a hashtag, and many of the images that are associated with the tag (sometimes all of them, depending on how many times the hashtag is used) will appear in someone’s feed, just as if a friend had shared a new pic. Following a hashtag like #summer or #music probably isn’t going to do you any good, since they are used nonstop and somewhat randomly, but there are some that could benefit you. For example, if you follow your band’s name, but as a hashtag, you’ll be able to see anytime someone posts about your music. Sometimes people won’t properly tag you and instead they’ll use a hashtag, and this way, you’ll catch the images. You should be following the names of your songs, albums, and tours as hashtags, because even if they are only used once or twice, you’ll want to interact with those pictures (and the accounts behind them), since they were likely shared by superfans. I wouldn’t necessarily call this a mistake, but there is something to be said for keeping things neat on your social media profile. There are different minds when it comes to where to place the hashtags you attach to your posts, and in the end, it’s all about what you think looks best and what works for you. I personally suggest that you add your hashtags as a comment immediately after posting your image or video. By doing so, you let your caption speak for itself, instead of crowding it with hashtags. When they are placed in a comment, they still work the same way, and all the functionality should be the same, but it compartmentalizes them and, in a way, keeps them separate. People add hashtags to their Instagram posts because it makes their content part of a larger conversation and it brings strangers to them when they might not otherwise come to their page. With every hashtag added, there is an opportunity to collect new likes, comments, and followers, and while that may seem superficial, all that attention adds up, and it can translate to streams, sales of merch and tickets, and fans. It may be tempting to max out the number of hashtags that can be added to every post (Instagram allows for 30 on every item), but that's not a best practice. If you're already going that hard when it comes to hashtags, you should relax a bit. Finding a balance between assigning appropriate tags and begging for attention is tough, and you'll want to change it up with everything you share. Sometimes just five hashtags is best, while at other times, around 10 might work. When you pass double digits, things get a bit tricky, and Instagram may even think you're trying to game the algorithm with spam, so be careful. As you post more on Instagram, it becomes easy to get stuck in a pattern when it comes to hashtags. There are probably plenty of options that apply to everything you share, such as #music, #concert, #newmusic, or perhaps your band's name. It might seem like it would make sense to use these over and over, but Instagram also frowns upon just copy and pasting hashtags in the same order. As you post, mix things up! Don't use #music all the time, especially if there are other, more timely and more relevant tags that apply. Even if there are certain items you do want to include every single time you share (such as your band's name or the name your fans have adopted for themselves), do your best to write it down in a different order. If it was the first hashtag listed last time, make sure it's somewhere in the middle next, and then last later on. Most of the hashtags you'll be posting are also used by millions of other people, and that's kind of the point of them...but it can also make it tough to stand out. It's fun throwing your piece of content into the mix with everyone else utilizing tags like #ThrowbackThursday or #RockMusic, but you can also feel free to come up with some options that apply only to you and your music. Kick things off and give your fans some direction by including hashtags on your Instagram posts of your band name, your album name, the titles of special songs, a tour moniker, or maybe even the name of your fan base, if they have one. These only make sense for those who know you and want to also post something about your tunes, and thus they are perhaps even more important than random other hashtags the masses have latched on to. Watch these hashtags closely (make sure you follow them, as I mentioned above), because everything shared with one of these items matters to you.